The Fiduciary Rule - Why Is This Even An Issue? “Acting In Your Client’s Best Interests!” – Who Knew It Could Be So Complicated? Well, apparently it is. But to the typical investor, it shouldn’t be. Once they’ve gotten over the initial shock that not all advisers were legally required to act in their client’s best interests in the first place, they should welcome the new rule with open arms. The basics of the new rule were summarized in an earlier blog of mine – “The DOL Fiduciary Rule For Investment Advice.” What I’d like to highlight in this blog is the latest happenings on the Rule. Give advice that is in the “best interest” of the retirement investor. This best interest standard is not the same as the fiduciary rule, but it requires prudence and loyalty as its chief components. Make no misleading statements about investment transactions, compensation, and conflicts of interests. Now if these standards seem vague, ambiguous, and difficult to enforce, you’re not alone in thinking that way. But absent further action from the Department (which many think will happen – but not in a good way for the individual investor), the transition period ends on January 1, 2018, and full compliance with all of the exemptions’ conditions is required for firms and advisers that choose to engage in transactions that would otherwise be prohibited under ERISA and the Internal Revenue Code. These conditions importantly include, among other things, requirements to execute a contract with IRA investors with certain enforceable promises, make specified disclosures, and implement specified policies and procedures to protect retirement investor from advice that is not in their best interest. 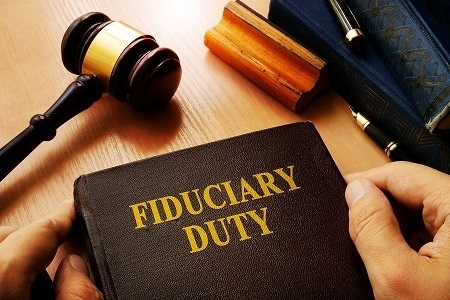 Carr Wealth Management, LLC, has always operated under a fiduciary standard and believes adherence to the rule should not be a choice – It Should Be A Must! Please contact C.W.M. if you have any questions or would like to schedule a no-charge initial consultation.